The question of when to put a vinyl onto to a top and how to make sure it’s centred crops us a lot so I thought I would show you how I do mine. I do mine before I sew but the same technique works for putting vinyls on shop bought tops too! 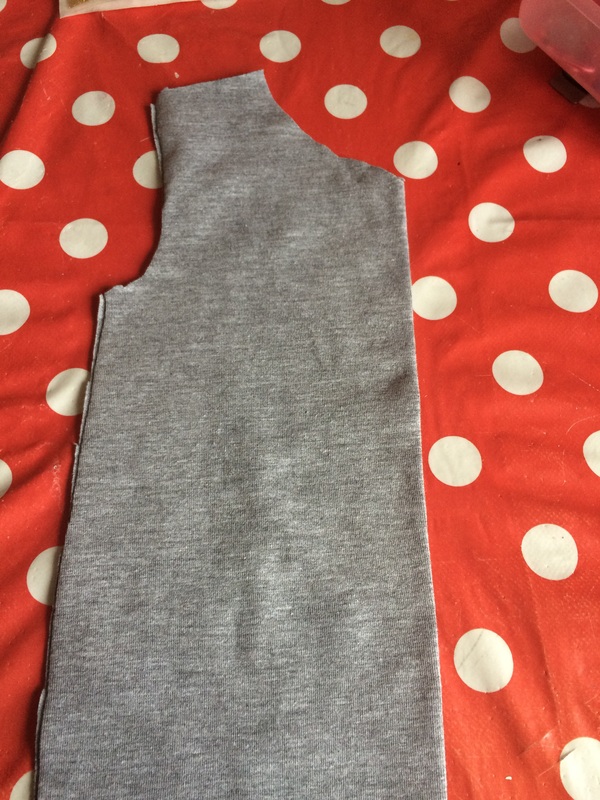 First find the centre of your top you can do this as you’re cutting out because many fronts are cut on the fold. Alternatively you can match side seams and create a centre front crease. Next up grab your vinyl and find the centre. Always find the centre of the widest point. This applies to any design especially one with writing on. You can mark on the vinyl where centre is because most come with a top layer you peel off so won’t affect your work. Match your centre fold with vinyl centre marks and iron in place. 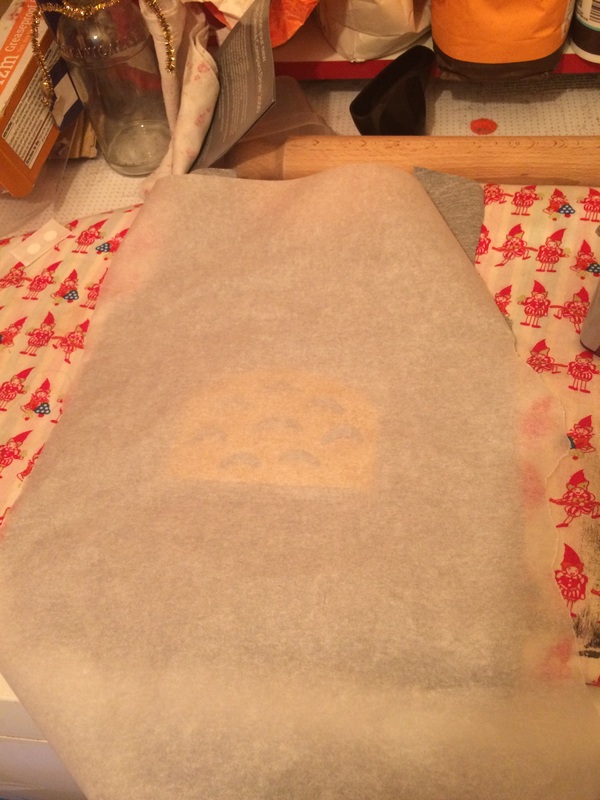 Using greaseproof paper is great or you can use scrap material. Teflon sheets are also available but I’ve never used. Ensure you put your vinyl on high enough to see and be out of way of hem but also not so high that when sewn up the neck binding gets in way. This is another reason you may prefer to iron on after sewing. Perfectly centred and great position to be sewn but not get in the way. Finished article is an eclipse top without hood, pattern by MBJM. Totoro inspired vinyl is from Margles & C.Bear found on Facebook!